We are the trusted industry source for information, inspiration and connections. Concrete professionals, resellers, distributors, designers, architects and specifiers turn to Concrete Decor for needed information year-round. Extend your reach with a print/online campaign that keeps your company and products top of mind with more than 120,000 readers/viewers each month. 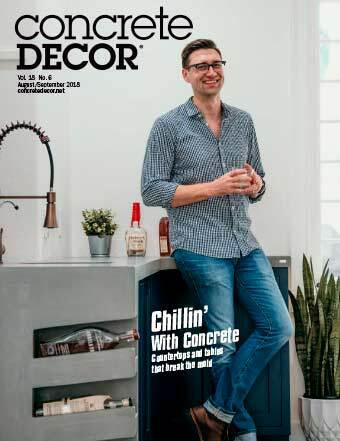 Concrete Decor magazine’s print and editorial quality is a powerful reflection of your products and services. All rates listed are net and do not reflect 15% agency commission. Guaranteed Positions: Right-hand pages add $100. Far-forward, right-hand add $125. Two-page spread is available at $6,720. Bleed size is 17”W x 11.125”H (trims to 16.75”W x 10.875”H). It’s not just readers of Concrete Decor﻿ who prefer the magazine delivered to their mailbox. The Power of Print continues to be an essential advertising medium for companies on the move. Concrete Decor magazine’s online Product Information Request Center delivers leads that are hot. 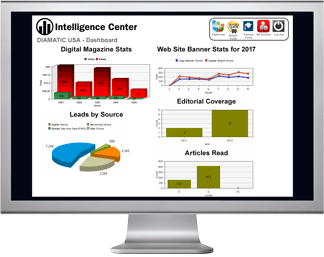 Our Intelligence Center archives your leads from every print and online ad you run giving you password-protected access to your data 24 hours a day.